The Archdiocese of Warsaw — one of the largest in Poland, comprising the capital city, seems to be unable to tackle the problem of implementation of the Holy See legislation. This has been the case for the past 3 years. 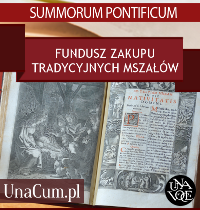 Let us not forget that on 7 July 2007, Pope Benedict XVI issued a document in the form of motu proprio entitled Summorum Pontificum. The papal regulation endorsed the right of each and every catholic priest in the Western Church to use the Missale Romanum of the blessed John XXIII of 1962. 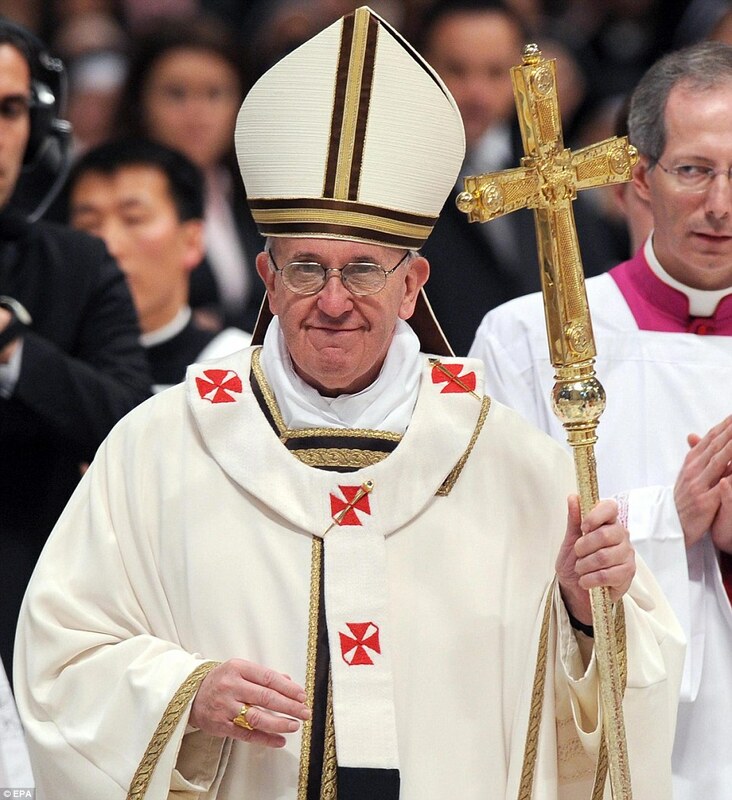 The papal act also clearly states the right of groups of the faithful attached to the traditional rite to participate in the old liturgy and defines the obligations to be observed by bishops to fulfil their needs. The Archdiocese of Warsaw has 28 deaneries (14 in Warsaw and 14 outside the city), 207 parishes (86 in Warsaw i 121 outside the city), 283 churches and larger chapels. There are 740 diocesan priests serving them and also 30 monastic communities and religious congregations, as well as 4 societies of apostolic life gathered in 64 houses. 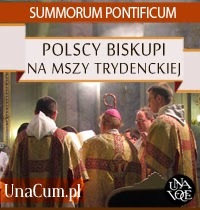 Overall, 506 priests and 211 friars work in Warsaw. The Archdiocese has 28 monastic parishes, of which 18 in the capital and 10 outside. 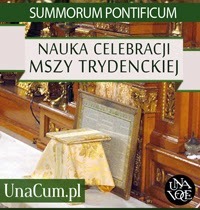 It is headed by Archbishop Kazimierz Nycz. The population is 1,625,000 souls. 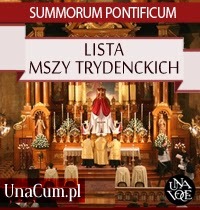 On the day of promulgation of motu proprio Summorum Pontificum in the administrative area of the Archdiocese of Warsaw, Mass in the Extraordinary Form of the Roman Rite was offered regularly only by one priest, member of the Congregation of the Most Holy Redeemer, at St Benno’s in Warsaw. Over the past three years, the number of Masses grew only by 1 Mass, offered monthly in the nearby village of Brwinów. But there would have been no initiatives at all if not for tireless involvement of the faithful coupled with kindness and enthusiasm demonstrated by a few priests. 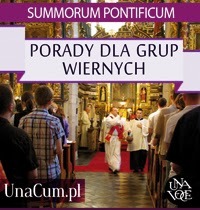 The faithful striving for creating the second Traditional Mass centre in Warsaw at one time, participating in Mass offered in the nearby town of Łomianki, know all the better how much it costs to organise and regularly prepare a celebration. Recently, the right to participate in Mass has been sought by the faithful of another nearby town, Piaseczno. The group of the faithful attached to the Roman Tradition from Piaseczno and the surroundings, addressed their own parish priest first, and then the Metropolitan Curia of Warsaw, kindly requesting the possibility to hear the EFRR every Sunday, and not once a month, as heretofore. For the Mass was then offered by a local curate of St Roch (Rocco) in Jazgarzew. 46 faithful signed the petition. In response, a letter from the Archdiocese arrived saying that, apart from a few priests, there is not one priest in the whole Archdiocese able to offer Mass according to Missale Romanum of the blessed John XXIII of 1962. 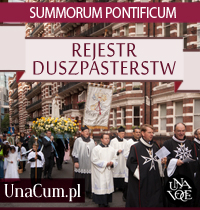 In the opinion of the Curia, the main problem is that priests have difficulty meeting the requirements for celebrating such Mass imposed by the Polish Bishops’ Conference, such as good knowledge of the rite itself and proper command of Latin and having [properly trained] altar servers. Along with the response of the Curia, the faithful were hit by another wave. As if it was not enough, not only was Archbishop Nycz unable to delegate a priest who could meet the needs of the faithful, but also the then celebrant was transferred to another parish. During talks with a representative of the Curia, the faithful learned that 46 souls are not enough to speak about a stable group. They were also advised to “find another church”. 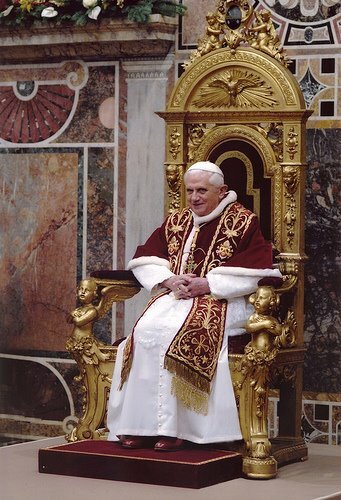 Yet, Article 7 motu proprio Summorum Pontificum states that — If a group of lay faithful, as mentioned in art. 5.1, has not obtained satisfaction to their requests from the pastor, they should inform the diocesan bishop. The bishop is strongly requested to satisfy their wishes. If he cannot arrange for such celebration to take place, the matter should be referred to the Pontifical Commission "Ecclesia Dei". — So we must now wait for the effects of notifying said Commission of the difficulties experienced by the Archdiocese of Warsaw. 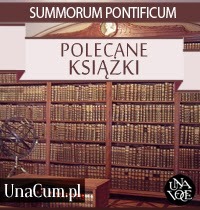 Probably, the problem could be solved if Archbishop Nycz were to invite one of the institutes created by the Pope himself to serve the faithful in the Extraordinary Form of the Roman Rite to Warsaw.